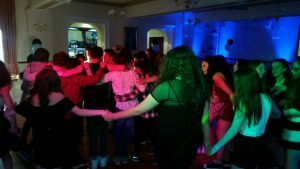 A pleasure to have provided my DJ services for Solomon’s Bar Mitzvah at Bury Masonic Hall. Fab fun night! Solomon’s parents also hired extra up lights for around the room to help set the atmosphere & a party pack of inflatables & throw outs for a bit of extra fun! As well as the disco, I will also act as the host for the evening if required – making any announcements, introducing the speeches etc. I’m there all night & will fit in with how you want your evening to run. But if you do want any suggestions for timings etc, I’m more than happy to have a chat with you about it. 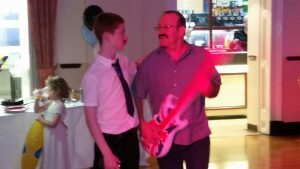 I also offer a few other related services & products which are popular for Bar Mitzvahs including photo booths, dance floor hire, fun casino tables & chair covers/venue décor. Just let me know if you’d like details on any of these. 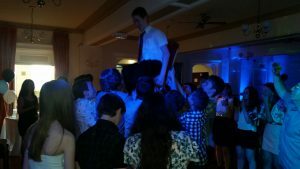 So, if you would like any help planning your son’s Bar Mitzvah, email your enquiry to andy@andybevents.co.uk include the date & venue details for an accurate quote.